Situated close to the Parly 2 shopping centre, 15km from the Eiffel Tower and 25km from Orly Airport, the 4-star Mercure Versailles Parly 2 offers comfortable, air-conditioned rooms. With a stylish and welcoming interior, you will find all the facilitiesyou need for a quietly industrious business trip, plus a hotel bar for when you need to unwind. 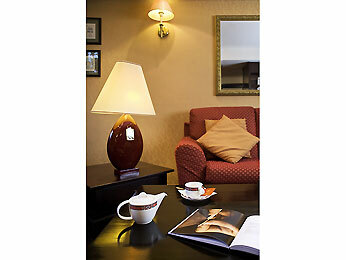 This hotel has a range of quality services making it equally suitable for conferences or family breaks. Length 7.30m, Width 5.20m, Access door for equipment, Air conditioning, Daylight, Black-out, a 1.8×2.1m screen.